"Some stories live in books and some live in the world around us. I wonder where this story wants to be?" 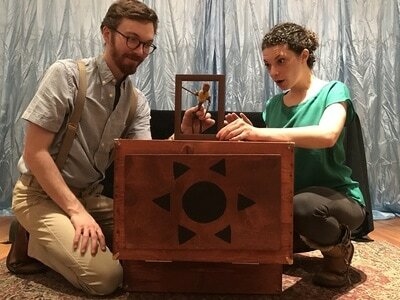 When the page of a book is irreparably torn, a storyteller and her loyal stage manager must find another way to share their story of three princes on a quest to determine which of them will be their kingdom's next ruler. 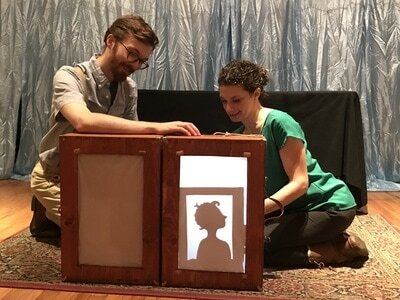 Through shadow puppetry, sensory audience interactions, and other exciting surprises, little ones will experience a tale of cleverness and the value of kindness. 10:00am is a Sensory Friendly performance. ​We encourage families who will benefit from these accommodations to join us then; however, ticket sales will still be open to all families. 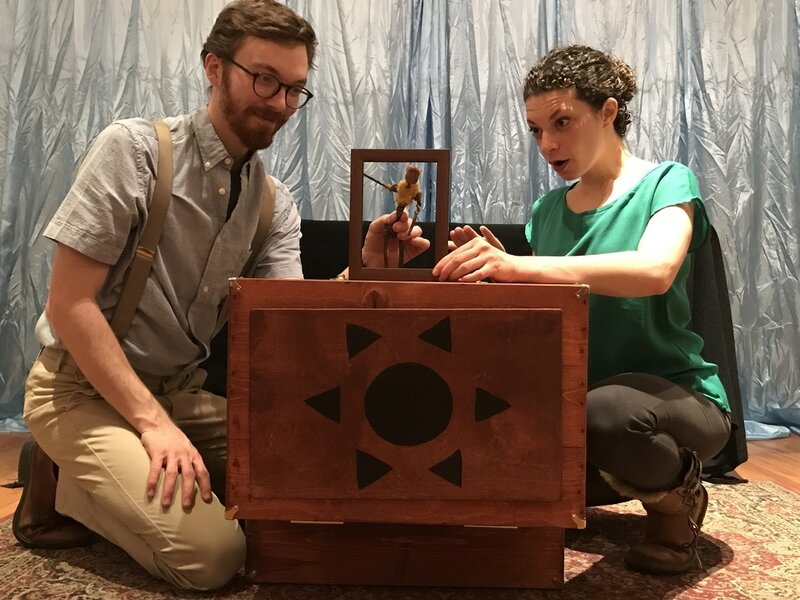 Purchase a Season Pass for only $10 and get a 20% discount on all Spellbound Theatre performances at the Old Stone House through June, 2019. Season Pass must be purchased BEFORE purchasing tickets to this performance in order to access the discount. To bring "The Last Coin" to your preschool or private event, email Susanna at susanna@spellboundtheatre.com or check out our Schools and Parties pages for pricing details. Click here for the social story on "Going to the Theatre." 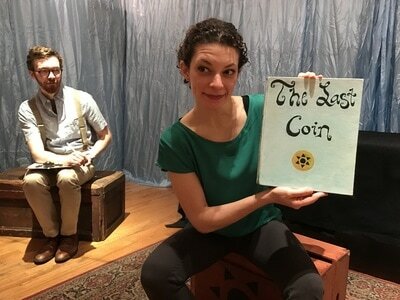 Click here for the social story on The Last Coin. ​Please note that the Old Stone House is not a wheelchair accessible venue. 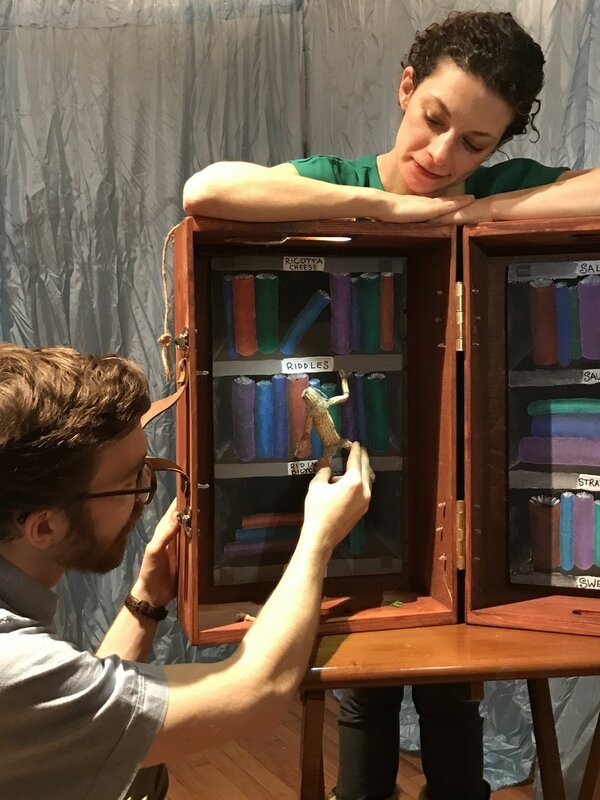 If you would like to see a pop-up performance at an accessible venue, join us at one of our Free Family Art Days in partnership with Brooklyn Public Library. Contact Emily Baldwin, Family Engagement Manager, at emily@spellboundtheatre.com with any questions about accommodations or for more information.